Cardcloud, a Netherlands based company, has launched its newiOS app for easy virtual business card sharing. The service has a few great options, such as letting you create as many different cards for yourself as you like. If you’re a serial entrepreneur, you might work with multiple companies, so this could come in handy. The updated iOS app, much like the Android app that we covered last month, is extremely well designed, and lets you set up new cards pretty quickly. Cardcloud aims to leverage business cards to the next level by adding context to each new contact. Notes can be added to cards, and geolocation for each sent card is stored per contact – viewable from the app, as well as from the website. Creating a card is as you would expect, you add your name, title, company, phone number, and address. What’s nice with Cardcloud though, you can add your online services like Twitter, Facebook, and LinkedIn. There’s a list of them to choose from, and all you have to do is enter your username on the service. Once your card is complete, the service is represented with its own icon, which makes your virtual card look a bit livelier. The new iOS app design makes this really easy to do. Sharing a card is pretty simple too with the new design. You can send it to someone via email, or “beam” it to them from one device to another if both people have the app. The email that gets sent to someone also includes a .vcf file that can be imported into address book software like Outlook and Apple Address Book, or imported directly to your mobile device’s contact list. The Cardcloud iOS and Android app approach is similar to the Bump app. If you both have the app open on your mobile device, you can tap “Beam card to:” and it will look for everyone who has the app open in your immediate vicinity. This could be extremely useful at conferences or meetings. Having the ability to share any of your cards with whomever you like is a nice feature. 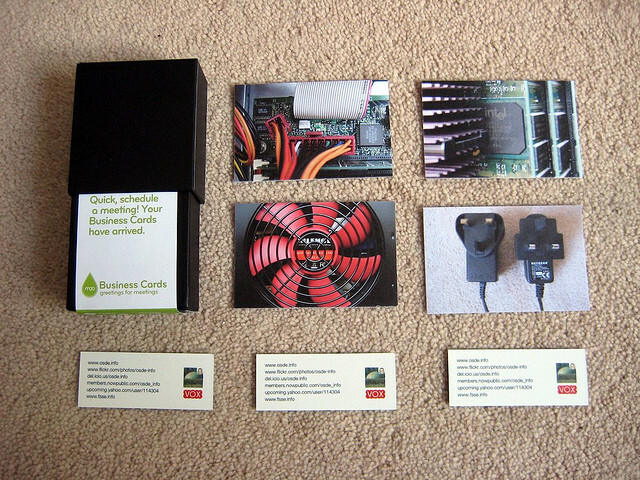 If managing physical business cards has become tiresome, perhaps Cardcloud is the solution for you. The key will be Cardcloud to get wide adoption, especially for sharing cards app to app. The email sharing solution might not be enough to make the company stand out. The other difficult hurdle for a company like Cardcloud is Apple and Android’s own built-in contact management system. Apple’s is very integrated into iOS, and sharing contacts can be done via email or SMS already.